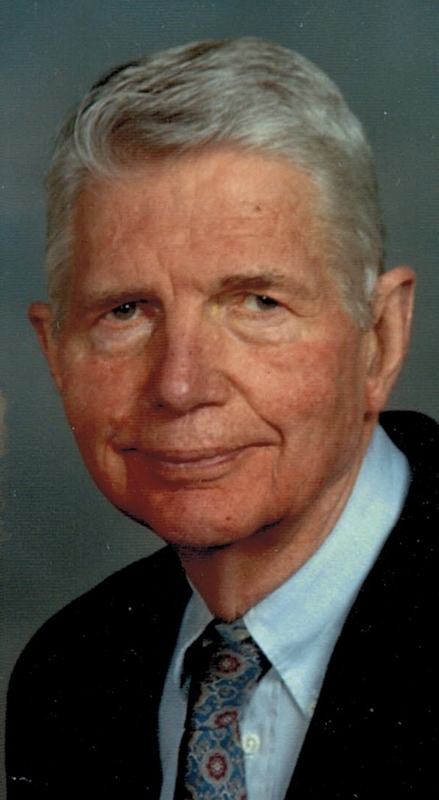 Donald F. Davis, age 85, of Warren, PA passed away peacefully in his home on Saturday night, September 5, 2015 surrounded by his family. Don lived 50 years in Warren with his beloved wife Joyce Davis. He was born August 1, 1930 in Dodgeville, Wisconsin, to Erwin and Loraine (Clause) Davis. Don graduated from Michigan State University where he earned a BS in Mechanical Engineering and met his lifetime partner Joyce. When Joyce first saw Don standing in line for class registration, she said to her friends – “Watch me pick up that guy” and she married him two years later. Don served in the army during the Korean War. In Shaker Heights, Ohio, Don worked in production and inventory control at Electric Storage Battery Company. A position at National Forge as a Systems and Procedures Engineer brought Joyce and Don to Warren in 1965. The family took up skiing and sailing with their children and became immersed in the local community. In 1970, Don ventured into his own consulting business, Don F. Davis Associates, advising many of the manufacturing companies throughout northwestern Pennsylvania. Don is survived by Joyce and three children: Jim Davis and wife Marcia Davis of Bloomington, IN; Carolyn (Lynn) Post and husband Mark Post of Hollis, NH; and Kim Hehr and husband David Hehr of Clearwater, FL, as well as his sister, Jill Yvonne Slater and her husband Steve Slater of Boulder, CO. He is also survived by seven devoted grandchildren: Acacia Davis, Baltimore, MD; Hillary Davis, New Orleans, LA; Eric Davis, San Francisco, CA; Hannah Post, Manhattan Beach, CA; Ben Post, Hollis, NH; Kyle Hehr, Clearwater, FL; and Karlie Hehr of Clearwater, FL. Don and Joyce loved Chautauqua Institution. They brought their children and grandchildren together at Chautauqua over many summers, forging a close and loving family. The family will receive friends at 10 a.m. followed by a memorial service at 11 a.m. on Wednesday, September 9, 2015 at the First Presbyterian Church, 300 Market Street, in Warren. Joyce, Lynn, Jim and Kim, I was deeply saddened to hear of Don’s passing. He, and you certainly made me feel welcome to stop by for a visit no matter when. We will certainly miss him. Nothing but great memories with him. My deepest condolences to you and your family on the passing of your father. It is my hope that your memories and the love of family and friends will be a comfort to you all now and in the days to come. As a former Liberty Street resident, I have fond memories of Don as a very kind soft spoken man, always with a quick smile. Harvey and I grieve for your loss and hold you close in our hearts at this time of sorrow.